Latest Graduate from Hollywood Airbrush Tanning Academy Introduces Nee Nee Bikini, a Spray Tanning Business Serving Seattle, Washington. Reputed spray tanning training institution Hollywood Airbrush Tanning Academy continues to play a stellar role in the growth of airbrush tanning businesses across the country. The recent graduate of the company Whitney Hart is now offering spray tanning services in Seattle, Washington through her independent business named Nee Nee Bikini. 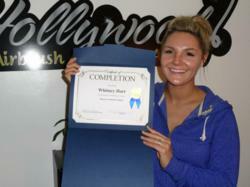 One more student from the Hollywood Airbrush Tanning Academy has just made her mark in the growing spray tanning business in the country. This top rated spray tanning training center provides a hands on certification program on spray tanning, designed to help students master the emerging art of sunless tanning. Interestingly, all the students from this academy are well placed in the industry as professional spray tanning technicians. Whitney Hart, the latest graduate of the academy has done well to follow the footsteps of her seniors to start her own business Nee Nee Bikini. This mobile spray tanning service is presently available in Seattle, Bellevue, Tacoma, Washington and adjoining regions. Spray tanning is a new career path for Whitney Hart as she has been in the customer service field throughout her career. However, this experience has helped her understand how to make clients happy by giving them the kind of service they want. 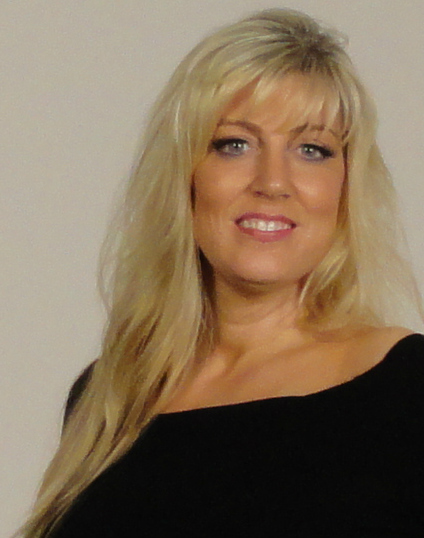 She considers her past jobs to be instrumental in helping her in her new role as a spray tanning business owner. She says, "They have taught me so much and I wouldn't be in this position today if it wasn't for my experiences". Revealing her future business plans, she also added, "My future goal in this business is to have great success with Nee Nee Bikini! I want to earn my clients' trust by using only the best products on their skin and giving them a great tan every time! In March, I will be a licensed esthetician, and I plan to add more services to my mobile service menu such as eyelash extensions, waxing, and more!" Nee Nee Bikini can be reached at 206-992-4402 or at http://www.neeneebikini.com. Hollywood Airbrush Tanning Academy is owned and managed by Simone Emmons, one of the most proficient airbrush tanning professionals throughout the country. Her wealth of experience, compassionate nature, and remarkable knowledge has been the major factor behind the success of many of her students. Simone is also a marketing expert and offers all promotional support to her students to help them start their own airbrush tanning business. Talking about her latest student, she says, " Whitney did extremely well in her training sessions, and I look forward to her success as an independent spray tanning specialist". Hollywood Airbrush Tanning Academy is located in Los Angeles, California and offers an extensive Airbrush Tanning Certification program to anyone who wishes to learn the art and business of spray tanning. Simone Emmons, the creator of the spray tanning training program has been a professional, licensed spray tanning technician and teacher and has helped numerous entrepreneurs from Utah, Colorado, Nevada, Minnesota, Arizona, South Carolina, Oregon, Washington, Oklahoma, Florida, California and the Island of Hawaii and Trinidad start a business in Airbrush Tanning. The spray tan program is unique because it provides hands-on and private spray tanning training to individuals who want to start an Airbrush Tanning Business. According to Emmons, this spray tanning program gives individuals a leading edge in starting an Airbrush Tanning business immediately after finishing with the training. Students have the option to choose from a full day course of 10-12 hours or two half day courses of 5-6 hours a day or through live video conferencing. The academy is also launching a website soon so students can learn Airbrush Tanning Online. Many tanning training institutions only educate students on their own equipment and products they sell, however Hollywood Airbrush Tanning Academy does not sell any of their own products and provides training and education on all equipment and good products in the airbrush tanning industry.